Is Child Nutrition Reauthorization moving or stalling? Senate Majority Leader Harry Reid (D-NV) and Senator Blanche Lincoln (D-AR) this week said they wanted lawmakers to approve a bill reauthorizing child nutrition programs before the August recess. U.S. Food Policy's coverage this Spring noted that the Lincoln bill is less ambitious than legislation the White House had proposed earlier. For example, the Senate bill includes just six cents per meal increase in the federal reimbursement to local programs for providing a school lunch. Yet, even this weaker and politically more palatable child nutrition reauthorization failed to make the list of three bills highlighted as priorities by leading Democratic legislators, which probably made advocates wonder if any child nutrition legislation would pass at all. Legislation to reauthorize child nutrition programs for five more years has passed out of committee in both the House (.pdf) and Senate (.pdf). 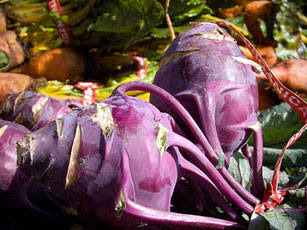 The Food Research and Action Center is encouraging support for the House bill. Margo Wootan of the Center for Science in the Public Interest wrote that the House bill "hopefully give a nudge to the Senate to pass its child nutrition bill." The next few days will show if this hoped-for nudge actually comes to pass. 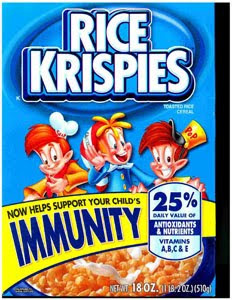 Kellogg can no longer use this marketing strategy (see Time Magazine in June). In federal government lingo, the image above is a "health claim" or "function claim" with insufficient evidence. But the company will still use this strategy (see Marion Nestle and Food Navigator this week). In federal government lingo, this is a "nutrient content claim." For official purposes, everybody agrees to pretend that the word "antioxidants!" has no more health implications or evidence requirements than does the word "crunchy!" 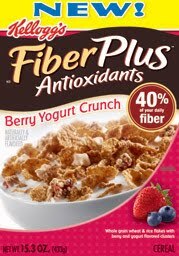 The only legal issue is whether the manufacturer actually has added in the claimed antioxidants. If you are convinced that this distinction between health claims and content claims succeeds in protecting consumers from misleading marketing, you will be reassured that somebody out there is watching that line like a tennis referee. Everybody else may want to continue to be skeptical of health-related packaged food marketing claims across the board. The Massachusetts House and Senate yesterday passed legislation to improve school nutrition. The bill now goes to Governor Deval Patrick, who is likely to approve it. Though some details of the rules are delegated to state agencies, the law will strengthen wellness planning and reduce or in some cases end the sale of sugary drinks and junk food in school. The legislative history and the text of the bill (.pdf) are online. “There is no specific list of foods that would be banned, but most up-to-date recommendations would prohibit sugary drinks, such as soda, and typical ‘junk food’ such as regular chips and processed packaged snacks,’’ David Falcone, Senate President Therese Murray’s spokesman, said in an e-mail. The measure, which the House passed in January and the Senate passed in March, now heads to the desk of Governor Deval Patrick for signing. “The governor supports efforts that promote healthy eating for our children, and we look forward to reviewing the final language,’’ Patrick’s spokesman, Kyle Sullivan, said in an e-mail. 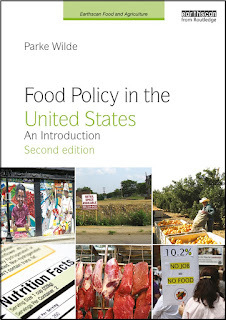 How long has the U.S. Food Policy been blogging this particular issue? In October 2005 (! ), we described the efforts of State Rep. Peter Koutoujian. At the press event before today's hearing about junk food in Massachusetts schools at the State Capitol in Boston, State Rep. Peter Koutoujian challenged the notion that policy-makers should allow children to choose junk food. "Who's in charge here?," Koutoujian asked. "The adults or the children?" The law will in no way restrict foods or beverages that parents can offer their children. 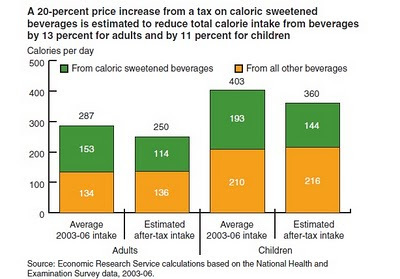 Instead, it will reduce the unseemly and widespread practice of other adults making money selling high-sugar beverages and high-salt snacks to children in school in the midst of an epidemic of childhood obesity and nutrition-related chronic disease. Advocates for the new policy, such as the Massachusetts Public Health Association, have long cultivated patience as an essential virtue for their line of work. It seems likely that the association's website will soon have a very happy news item. [T]his year, I'm going to celebrate National Farmers Market Week by forcing myself out of my vegetable comfort zone. I'll be picking up whatever looks weirdest or most unfamiliar to me -- kohlrabi, say, or Romanesco broccoli -- and figuring out how to cook it. I'll share the results right here with you guys. They probably won't be fancy, but when food is this fresh -- as Grist's Jennifer Prediger keeps marveling -- you don't need no stinkin' fancy. A 20% soda tax would reduce daily food energy intake for adults by 37 calories, enough to reduce the prevalence of obesity by almost 10%, according to a new report this week from USDA's Economic Research Service (ERS). The prevalence of obesity for adults could fall from 33.4% to 30.4%, the report estimates. The report corroborates other recent research suggesting that the obesity prevention impact of taxes on sugar sweetened beverages could be substantial. There are a couple reasons why the estimated impact is higher than one might have expected based on previous research. First, the report, by ERS researchers Travis Smith, Biing-Hwan Lin, and Jong-Yin Lee, estimated a somewhat stronger consumer response to beverage price changes than previous research used. The new estimated own-price elasticity of -1.26 means that a 10% increase in price leads to about a 12.6% reduction in consumption. Second, even a fairly small change in average daily soda consumption accumulates over time, leading to a notable estimated change in weight for a year's time. Purely paternalistic taxes motivated by public health tend to generate political push-back, especially from more conservative policy-makers, but also from consumers who resist having their choices directed by public policy. I think such taxes may be easier to explain to people when the tax revenues are needed in any case, to provide essential government services. The idea is: "Paying for teachers and police requires some revenue source. A tax on soda makes as much sense as a tax on other more meritorious goods, especially if people don't want their income or property taxes raised either." The health benefits could be mentioned in passing as an additional advantage. In this spirit, the Rudd Center at Yale has recently posted an online revenue calculator for beverage tax proposals. The growing interest in beverage taxes during tough fiscal times is putting stress on beverage manufacturers. The American Beverage Association in June pointed to earlier estimates, contradicted by the new USDA report, showing "a 20 percent tax on a soft drink would decrease Body Mass Index (BMI) for an obese person by just 0.02, an amount not even measurable on a bathroom scale." The association's press release is headlined, "Reducing soda consumption is a simplistic and ineffective solution to public health challenges."